Hosa DOC106 Audio Direct Out Insert Cable By allowing you use your mixer's insert jacks as direct outs for recording, this cable offers a creative solution for live and recording applications. Beat the system! 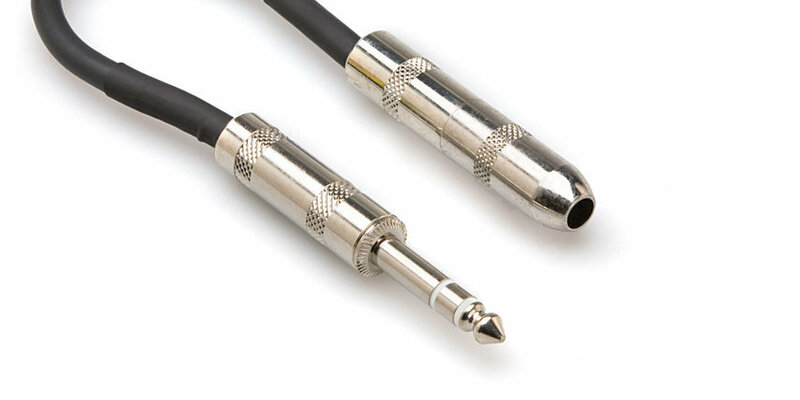 This slick little cable lets you use your mixer's insert jacks as direct outs for recording. The cable accomplishes this while leaving the signal path intact for your mixer. Now you can easily record true multitrack mixes of live gigs -- without investing in a different mixer. Stage mixers are great for live venues, but when you need separate direct outs from each channel (for sending out to a multitrack recorder, for example), you're usually out of luck. But now, using Hosa's DOC-106 Direct-Out Cable, you can actually trick the stage mixer's channel insert jack into thinking it's a direct output. Ordinarily, the insert jack "steals" the individual channel's signal for outboard processing. But the DOC-106's clever wiring provides a direct output while allowing signal to continue through the console too. Works on any mixer that has conventionally-wired insert jacks (Tip = Send, Ring = Return).